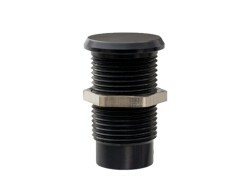 Description: Touch Metal Piezo Switch, 22mm mounting diameter, PG-16 thread, 28mm flat actuation area with either continuous (SBA1C) or toggle (SBA1T) function. Metal housings are milled, one piece construction and mounted with a nut.Aluminum housings are available in Silver, Red, Black,Green, Gold or Blue anodization. 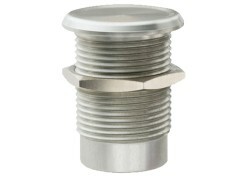 Description: Touch Metal Piezo Switch, 22mm mounting diameter, PG-16 thread, 28mm recessed actuation area with either continuous (SBA2C) or toggle (SBA2T) function. Metal housings are milled, one piece construction and mounted with a nut.Aluminum housings are available in Silver, Red, Black,Green, Gold or Blue anodization. Description: Touch Metal Piezo Switch, 18.6mm mounting diameter, PG-11 thread, 22mm flat actuation area with either continuous (SBF1C) or toggle (SBF1T) function. Metal housings are milled, one piece construction and mounted with a nut.Aluminum housings are available in Silver, Red, Black,Green, Gold or Blue anodization. Description: Touch Metal Piezo Switch, 18.6mm mounting diameter, PG-11 thread, 22mm recessed actuation area with either continuous (SBF2C) or toggle (SBF2T) function. Metal housings are milled, one piece construction and mounted with a nut.Aluminum housings are available in Silver, Red, Black,Green, Gold or Blue anodization. 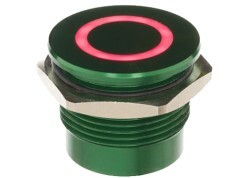 Description: Touch Metal Piezo Switch, 22mm mounting diameter 22×1.5mm thread, 25mm flat actuation area, ring illuminated with multi-color RGB LEDs (12 or 24V). 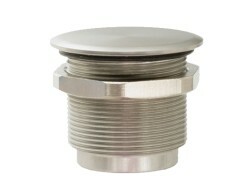 Metal housings are milled, one piece construction and mounted with a nut. 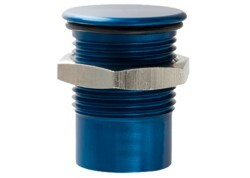 Aluminum housings are available in Silver, Red, Black, Green, Gold or Blue anodization. 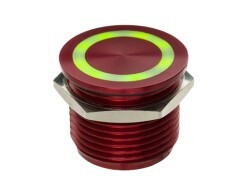 Description: Touch Metal Piezo Switch, 22mm mounting diameter,22×1.5mm thread, 25mm recessed actuation area, ring illuminated with multi-color RGB LEDs (12 or 24V). Metal housings are milled, one piece construction and mounted with a nut. 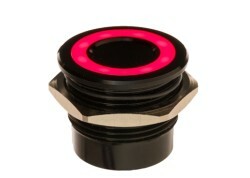 Aluminum housings are available in Silver, Red, Black, Green, Gold or Blue anodization. 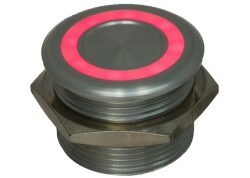 Description: Touch Metal Piezo Switch, 27mm mounting diameter,27×1.5mm thread, 31mm recessed actuation area, ring illuminated with multi-color RGB LEDs (12 or 24V). Metal housings are milled, one piece construction and mounted with a nut. 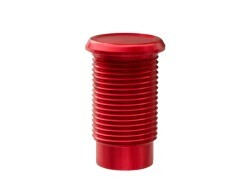 Aluminum housings are available in Silver, Red, Black, Green, Gold or Blue anodization.